Make some time this month to visit a “real” haunted house close to you. Some people might be hesitant to admit that they believe in spirits or ghosts. But if you've ever heard a startling thump in the night, ghosts might not be such a leap of faith. In fact, a little more than a third of American adults believe in ghosts. Perhaps more surprising is that 25 percent of 100 adults polled said they'd personally seen or felt a ghost. Halloween is upon us. Thousands of people pay to walk through commercial haunted houses and are lured to these scare factories in which costumed actors stand in for otherworldly spirits. Customers can get the adrenaline rush of scary monsters or bloody beings popping out at them without any risk of getting their souls stolen or becoming possessed. But real-life haunted houses are much different. There are many in the Midwest and a lot of paranormal enthusiasts stay at purported haunted houses, hotels and old buildings to hunt for ghosts. But what if ghosts suddenly found their way into your home? If the poll results are accurate, these uninvited guests may not be an uncommon occurrence. These 5 haunted houses in the Midwest may be just the place to stay or visit this month to get your scare on. A broken-hearted woman is said to haunt this home. Nellie Dunton grew up in Belvidere prior to the Civil War and fell in love with a much older gentleman, who promised to marry her after the war. When he failed to return, Nellie refused to fall in love again. She spent the rest of her life mourning in this house. Eventually, she wandered into the Kishwaukee River and drowned, some say while wearing her wedding gown. 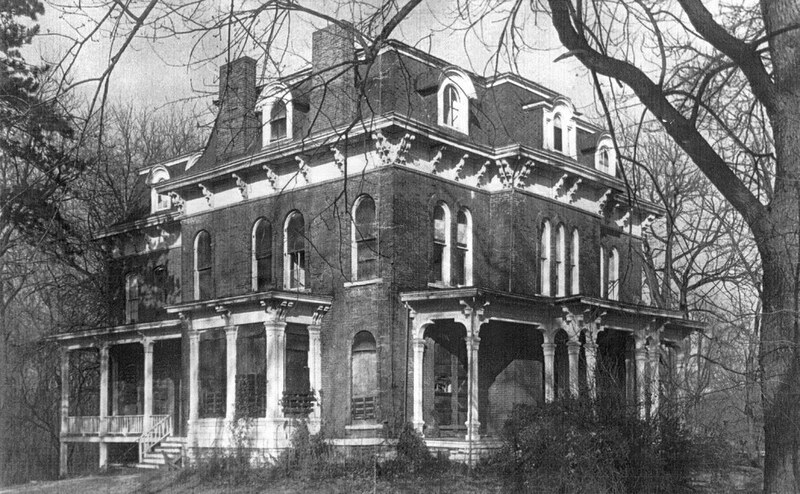 Her ghost has been seen by residents of this home, as well as by its neighbors. The James J. Eldred home is a grand, Greek-Revival ranch house that has stood abandoned since the 1930s. 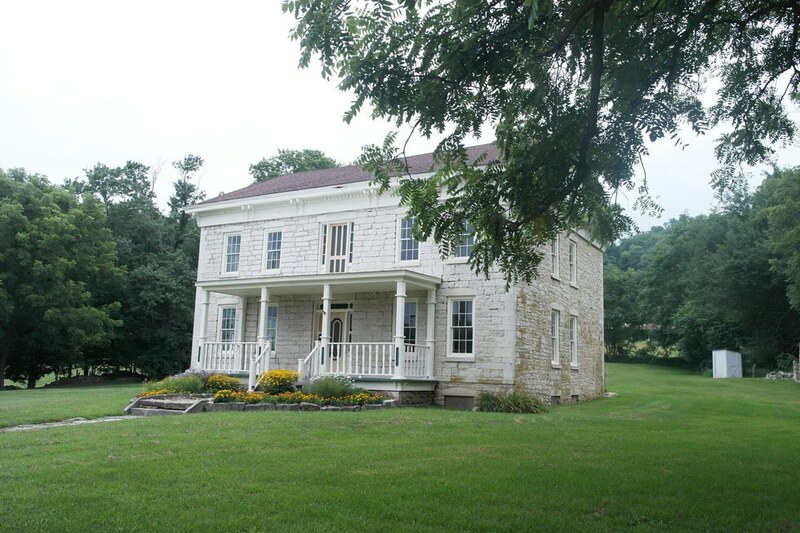 During the 1860s and ‘70s, James and his wife Emeline had a reputation for hosting grand parties at their “Bluff Dale Farm.” Life was difficult along the Illinois River. Their three daughters, Eva, Alma, Alice, all died at home of illness. Both Alice and Eva were 17. Alma was four years old. 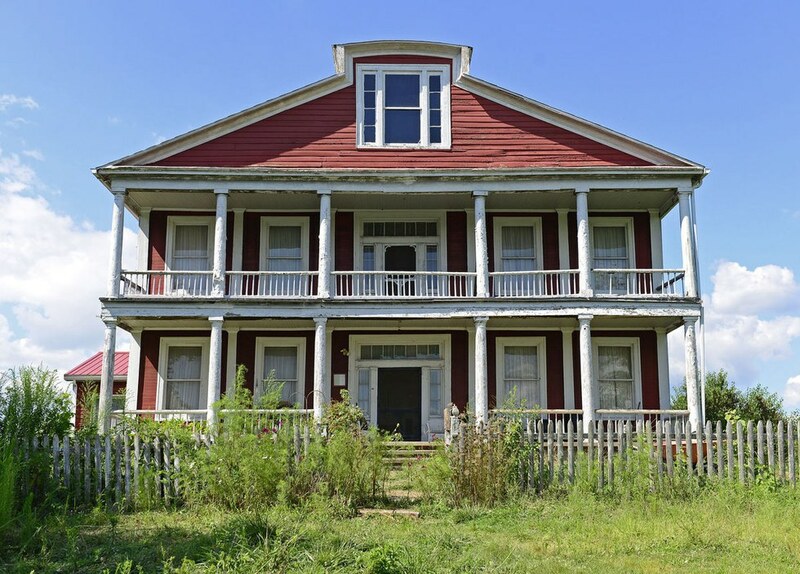 In 1999, the home was listed on the National Register of Historic Places, and in recent years the Illinois Valley Cultural Heritage Association has made great strides in restoring it to its former glory. During restoration of the property, there were sounds of “phantom footsteps,” “knocking at the front door,” “giggles of a young ladies” and “small shadows moving around in the nursery”. 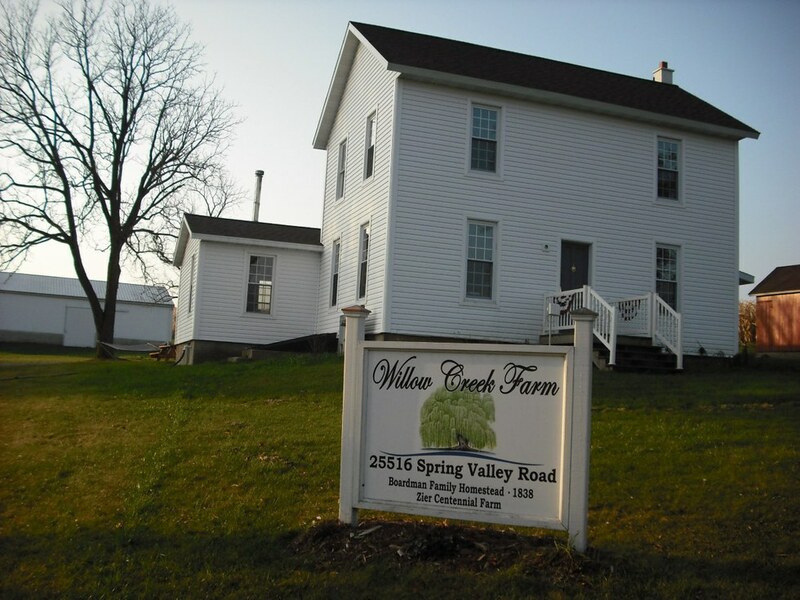 Willow Creek Farm dates back to 1838. Albert Kelchner, the farm’s owner, bought the property in 2006 and immediately sensed that he was sharing his house with some uninvited guests. He recorded his encounters and invited mediums and paranormal investigators to visit Willow Creek Farm in the hopes of corroborating his experiences. There have been seen seven identified ghosts and as many as a dozen others at the farm. 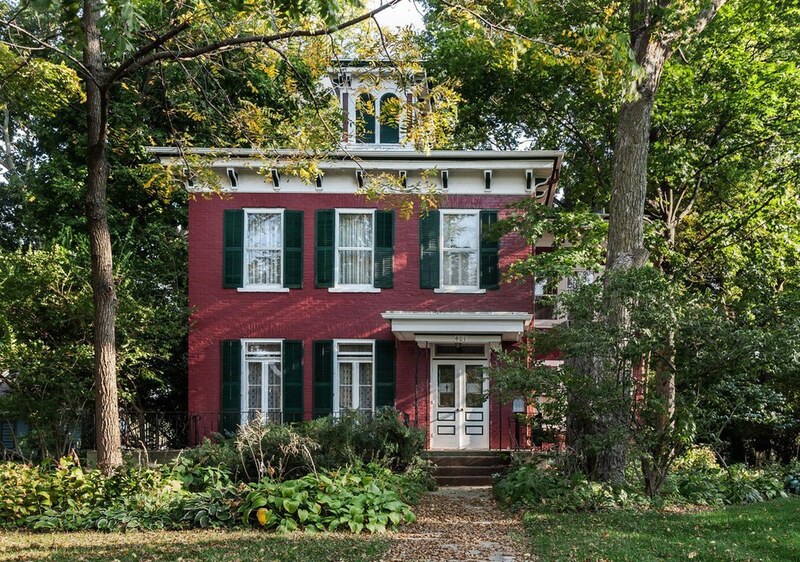 This property has been called one of the most active haunted sites in Illinois. Owned by John Crenshaw, this house was also known as the Old Slave House. He was one of the wealthiest men in the entire state of Illinois and owned over 750 slaves. The Illinois constitution prohibited the slave trade, but permitted those residents already holding slaves to keep their property. Visitors to Crenshaw’s plantation included Abraham Lincoln. Slaves were kept in cramped up cages in the attic of the mansion. In 1865 a German family who operated the plantation, reported hearing strange sounds coming from the attic. After the Civil War and the abolition of slavery, tourists began to come and visit Illinois’ only plantation. They heard footsteps, voices, and singing of hymns. No one could spend the night in the attic. In the late 1920s, one “ghost hunter” is believed to have died after spending the night there. Today, the mansion is owned by the State of Illinois and closed to visitors due to the unsettling noises one hears when they visit the plantation. This mansion has been abandoned for over 100 years which attracted vandals and the curious. In the 1940s, boarders often heard children running up and down the stairs, but could find no one when they investigated the noise. After the mansion became completely abandoned, passersby reported seeing faces in the windows of children – some waving at passerby’s. There are two known entities here. The mansion’s new owners named one of them Sarah. She is thought to have been a hired hand in life, and teases visitors with a touch or hug. The other ghost has been spotted wandering the grounds. So make some time this month to visit a “real” haunted house close to you. If you're lucky you may encounter some strange sightings.